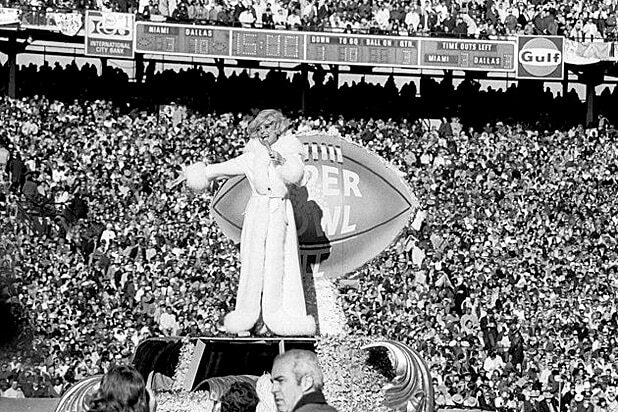 Remember When Carol Channing Was the First Super Bowl Halftime Show Celebrity Performer? As Hollywood and Broadway mourn “Hello, Dolly!” star Carol Channing, who died on Tuesday at age 97, some are remembering a very different performance to the ones she is famous for. Many NFL fans are probably not aware that Channing was the first celebrity performer for a Super Bowl halftime show in 1970 when the Kansas City Chiefs beat the Minnesota Vikings 23-7 in Tulane Stadium in New Orleans. Channing’s vocal performance certainly impressed the football fans, however, and she was invited back to the Super Bowl again two years later. With Super Bowl LIII from Atlanta’s Mercedes-Benz Stadium just weeks away, this year’s performance is guaranteed to be very different to Channing’s, with Maroon 5, Travis Scott and Big Boi performing at halftime. Of course, both teams need to get past the New England Patriots and the Los Angeles Rams respectively to earn a spot in the big game on Feb. 3.